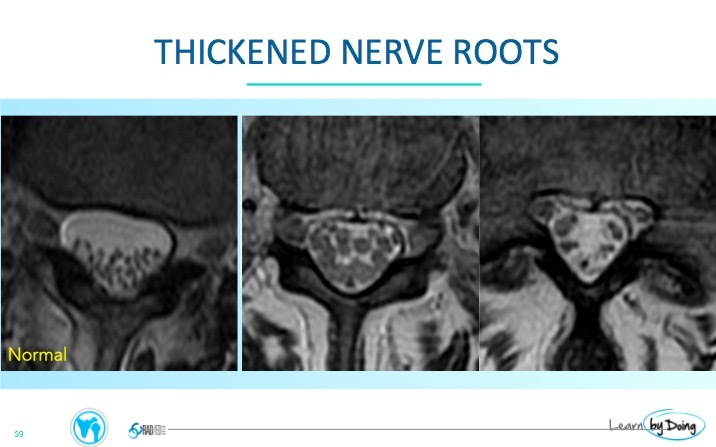 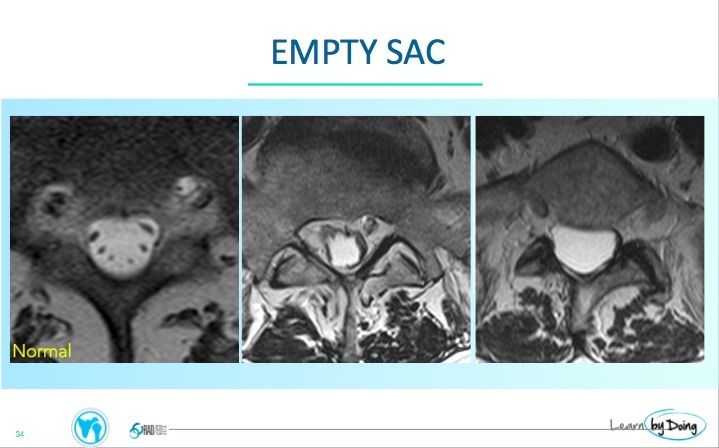 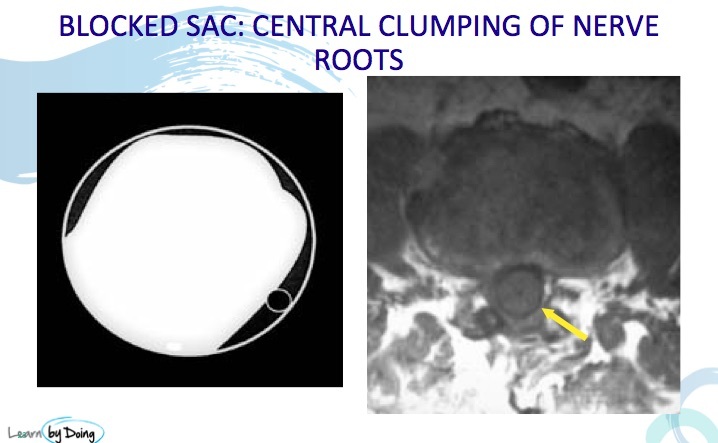 Arachnoiditis in the lumbar spine on MRI is not uncommon to see and is easy to diagnose if you know what to look for. 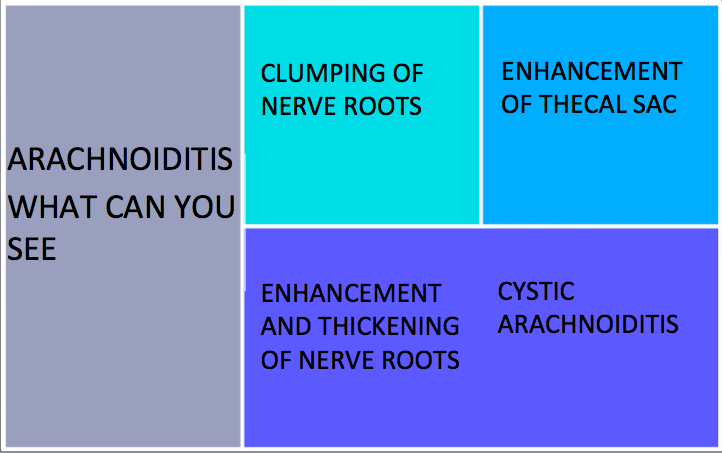 In this post we look at What is Normal, Why does Arachnoiditis occur and What can it look like. 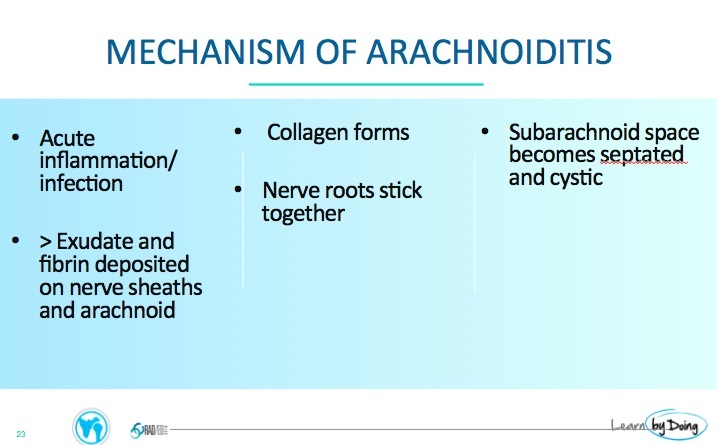 Arachnoiditis is not uncommon to see in the lumbar spine. 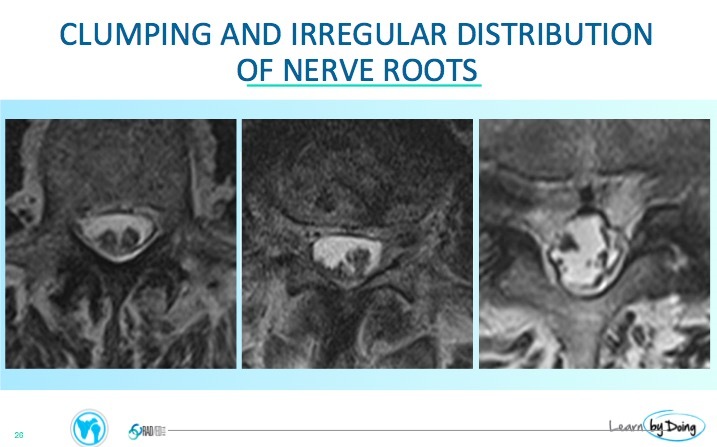 But the most important thing about being able to recognise arachnoiditis is to first know the normal distribution of nerve roots in the spinal canal. 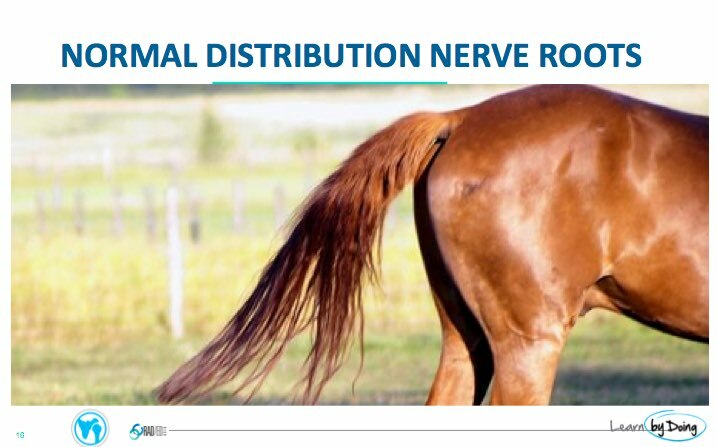 The normal distribution is a bit like the horses tail in that more proximally the nerve roots are together and as you go more distally, they separate. 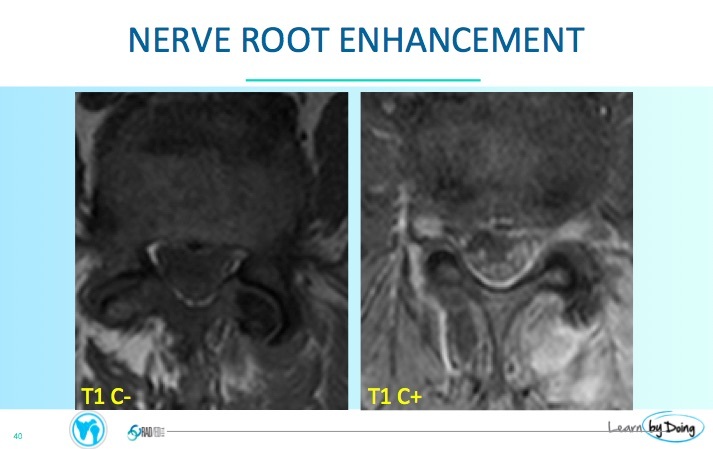 Image Above: The position of the nerve roots depends on what level you are looking at. 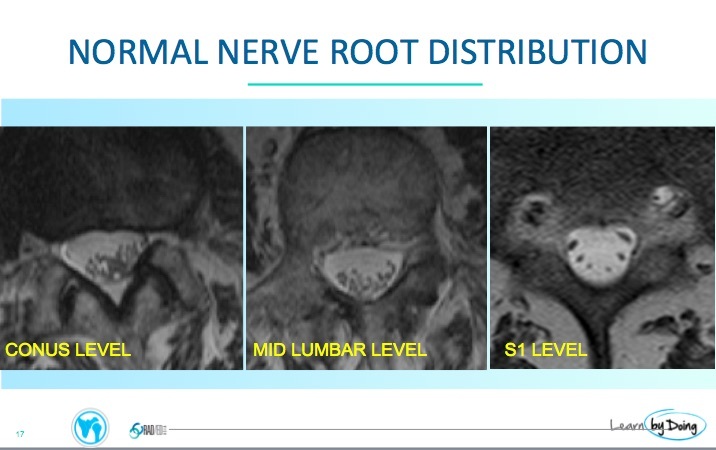 However it must be symmetrical on both sides whatever level you are looking at. 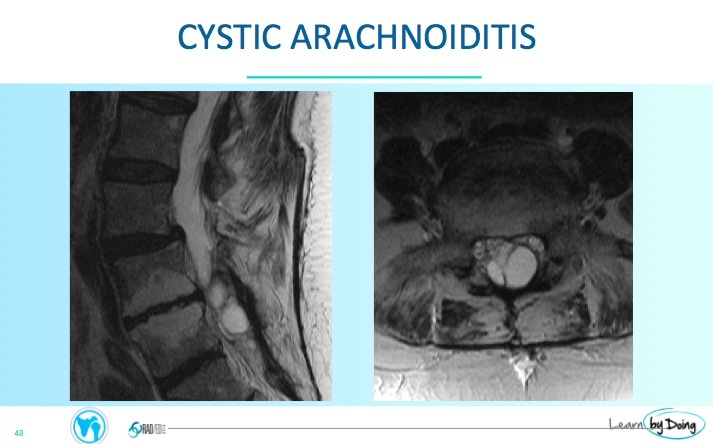 What are the different patterns of Arachnoiditis on MRI?